The end of January is upon us so that means that we have made it through the first month of 2014! It also means that Valentine's Day is just around the corner and it is time to get going on that gift shopping for your Valentine's Day Boo. My suggestion for a gift this year is to think outside the box and to get the one you love something that has value, meaning and is special and unique just like they are. 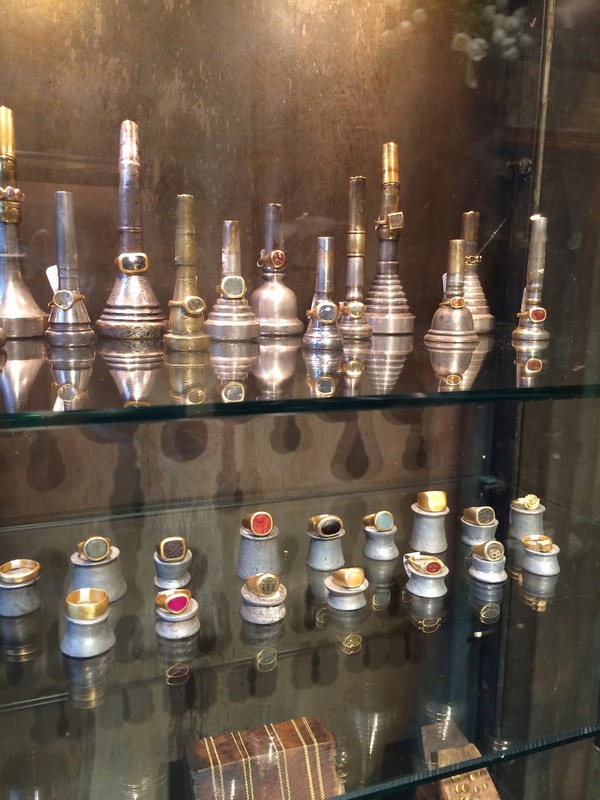 Rather than getting some hokey singing monkey that wiggles around and will be tossed in a closet a few weeks later, why not give the give of gold jewelry from Eli Halili? Recently I took a trip down to Eli Halili's beautiful SoHo boutique where I had the chance to have a special private tour. 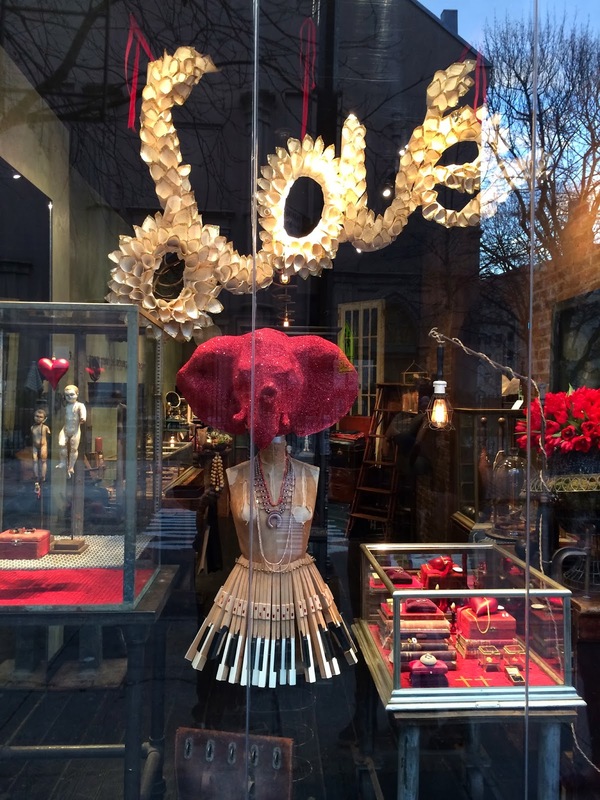 The store had just been decorated to celebrate Valentine's day and the red decor truly made all of the stunning gold pop. Let's take a look at some of my favorite pieces from the store and discover what makes this such a special place in NYC! Located at 250 Mott Street in SoHo, Eli's boutique has a warm, chic and inviting feel to it. 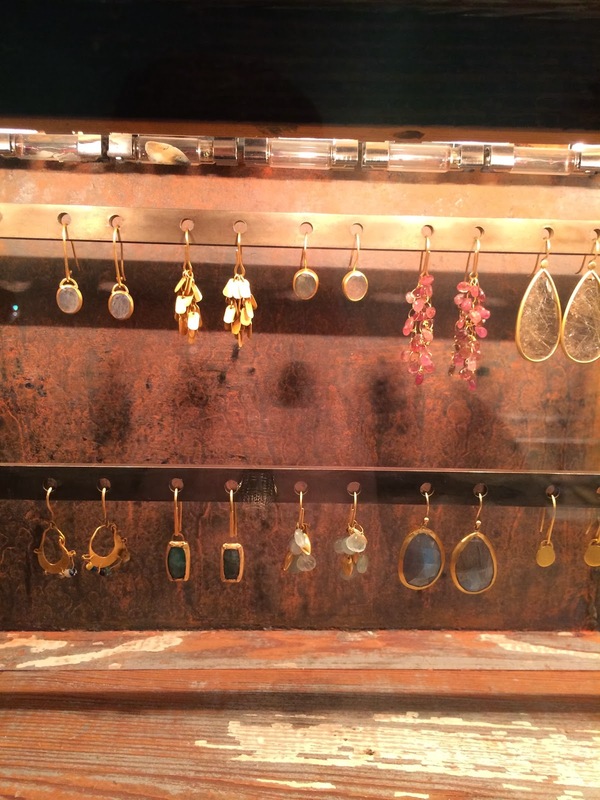 The gold jewelry is beautifully displayed and you instantly feel like you have been taken away to very special place. 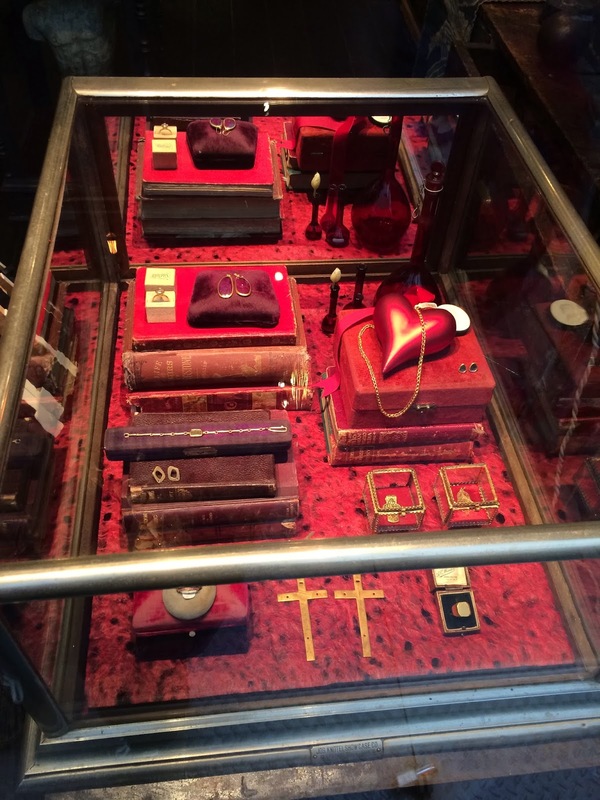 The great thing about shopping at Eli Halili for Valentine's Day is that everyone at the store is friendly and knowledgeable about the jewelry and you don't have to deal with annoying crowds and snotty sales people. 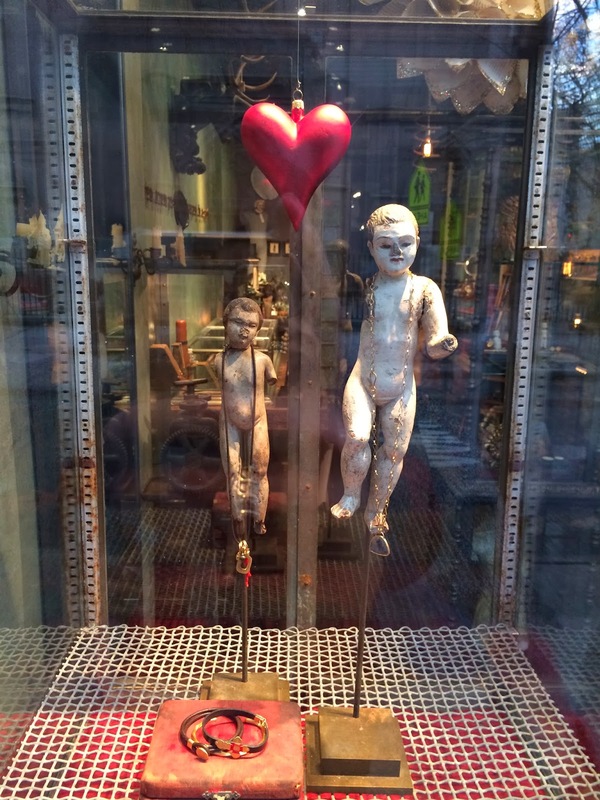 I love the Valentine's Day decor. It is as unique as the jewelry is! 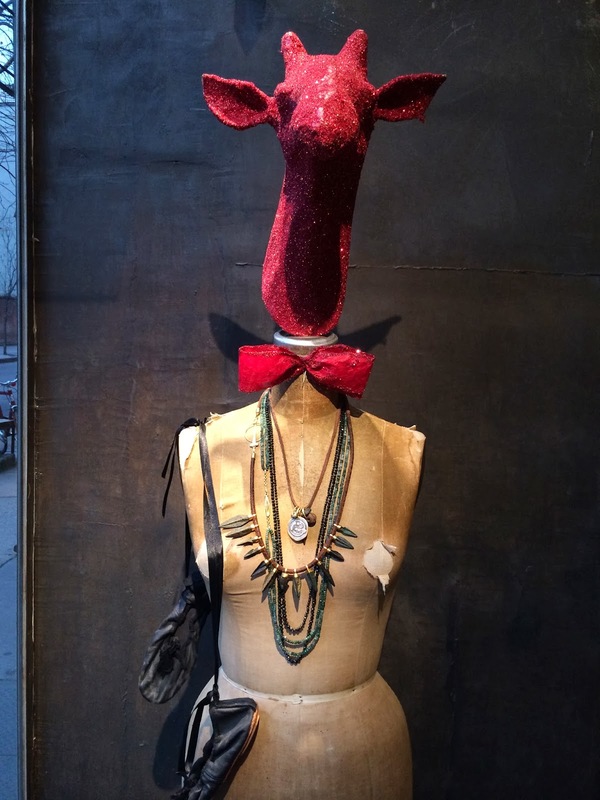 Of course I fell In love with this bow tie wearing giraffe! If you are an avid reader of OJ&B then you know that I really love a good gold ring. Eli offers a wide range of 24K gold rings that are perfect for Valentine's day. A lot of the rings have gorgeous stones in them but if your Boo is like me and likes a good solid gold ring, then Eli has got you covered as well. One of the things I loved most about the rings at Eli Halili is that they feel amazing. I love feeling the weight of the gold because you always know that it is there without it being intrusive. If you give you Valentine a gold ring then they will feel it on them all of the time which will no doubt remind them of you. I would wear this ring with almost everything everyday. A piece like this is like a chameleon; if you wear it with something hip and edgy then the ring will look hip and edgy, if you wear it with something upscale and formal then the ring will look upscale and formal. So good! I love rings like this were gold is used as the "gem." It looks super chic and fashion forward and perfectly feminine. I love the accent feel of this ring. The cool thing about gold is how it last forever. If you give you Valentine a piece of gold jewelry then they will be able to pass it down, along with your story, for generations to come. Eli captures the idea of this perfectly. 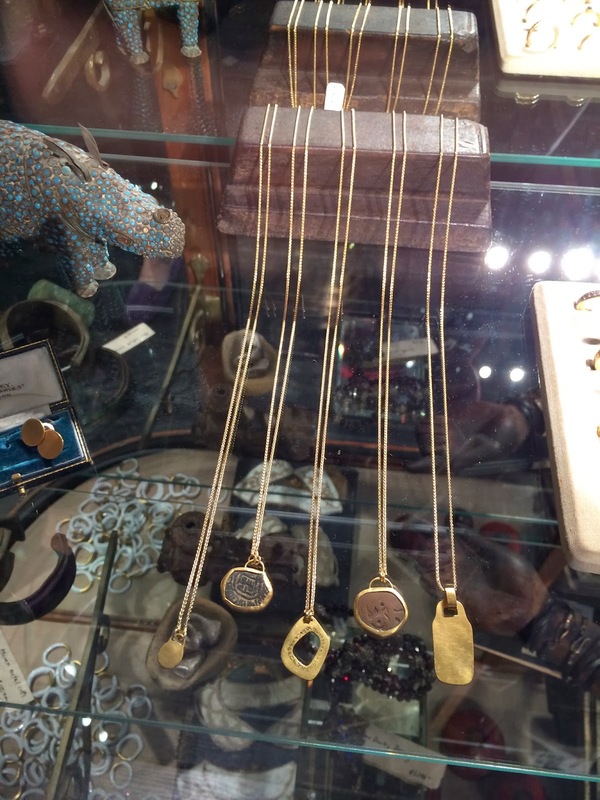 If rings are not your Valentine's thing then Eli Halili also have a fab selection of necklaces and earrings that make perfect Val Day gifts! Love these earrings for a Valentine's day gift! There is nothing better than a matching set of earrings and a necklace. You can wear them together or separately for a variety of looks. The thing that I love about these necklaces is that they look great alone and amazing when you layer them. Another thing I love is that, like a lot of the rings, these necklaces can be worn by women or men. Ladies and/or gentlemen, if you are looking for a special gift for the man in your life, Eli also has some amazing mens bracelets that I am obsessed with! 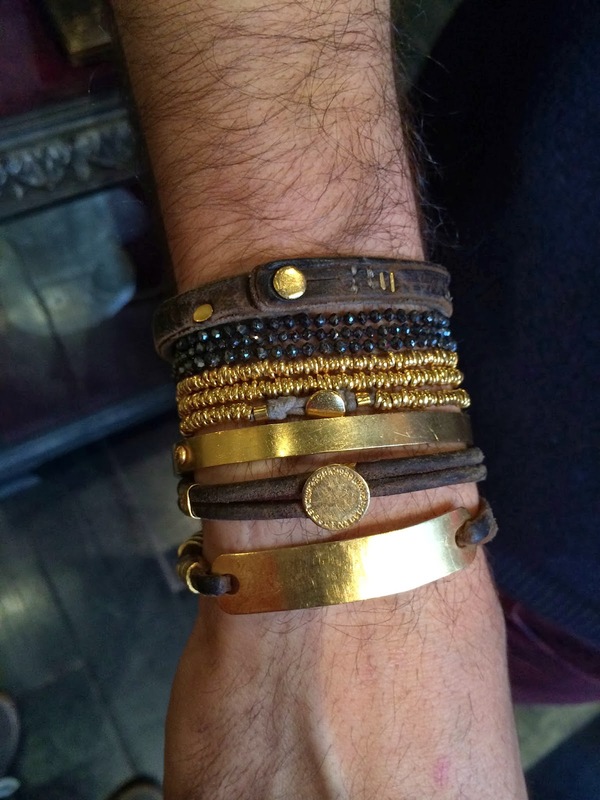 How good is this golden guy's arm party? I need that I.D. bracelet ASAP! You know that I have been saying for a few years that gold is the hotness right now. This is the perfect example of how a guy can rock gold. This is such a chic look for guys and the warm look and feel of the gold is perfection. 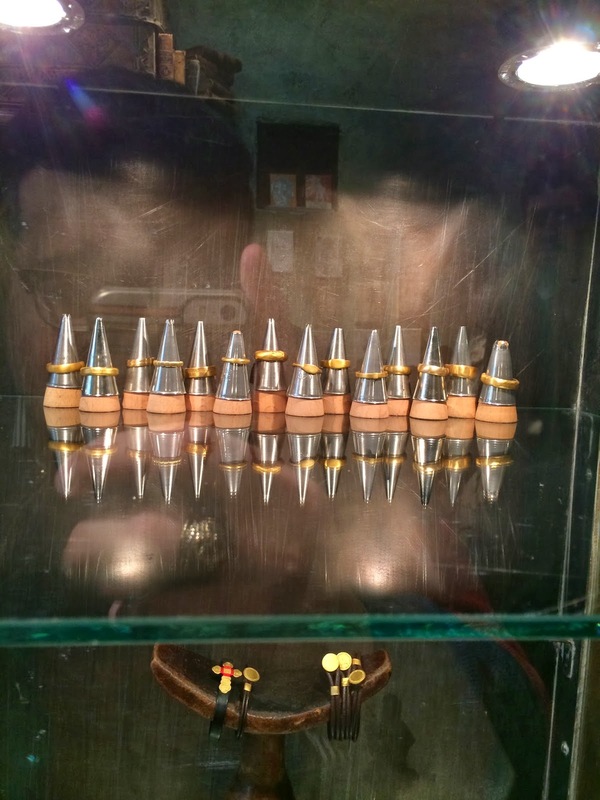 Another cool thing about Eli Halili's jewelry is that it is all made in New York City! 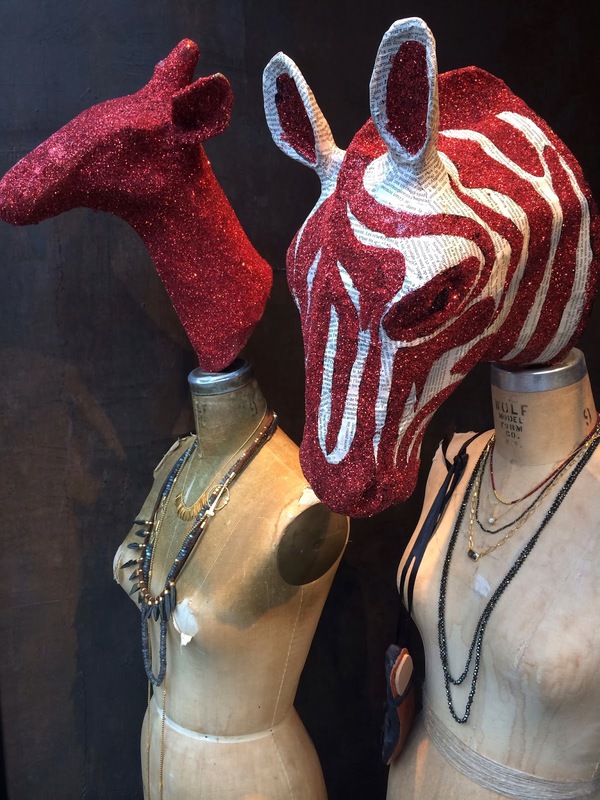 Eli creates all of his pieces in SoHo by hand which really shows in the craftsmanship of the pieces. Although I have been giving gift ideas for Valentine's Day, keep in mind that if you are single there is NOTHNG wrong with buying something special for yourself. These pieces are perfect for Val Day and year round as gifts for any occasion. 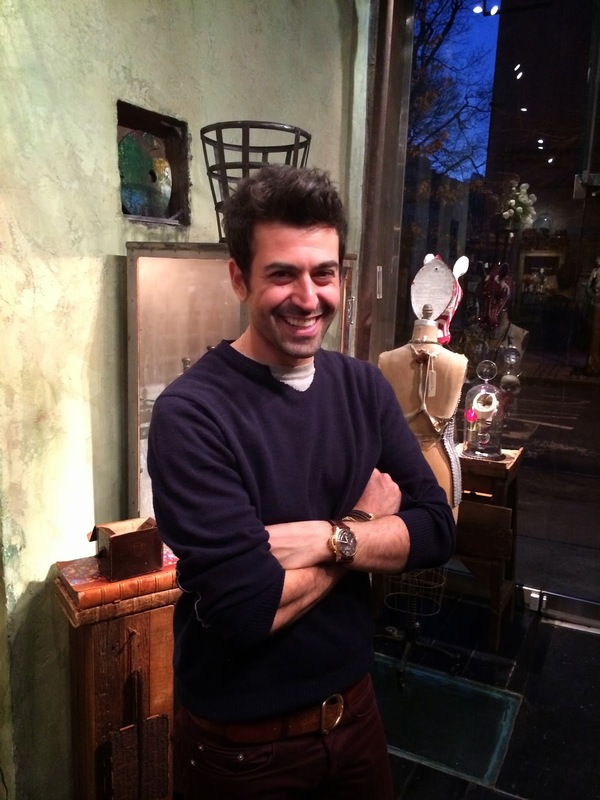 Thanks so much to Eli Halili for giving me a private tour of his amazing SoHo boutique! The last time I was at the boutique it was for the fabulous grand opening! It was so good to be able to take in the essence of the store without the throngs of adoring Eli Halili fans. I hope to come back very soon! 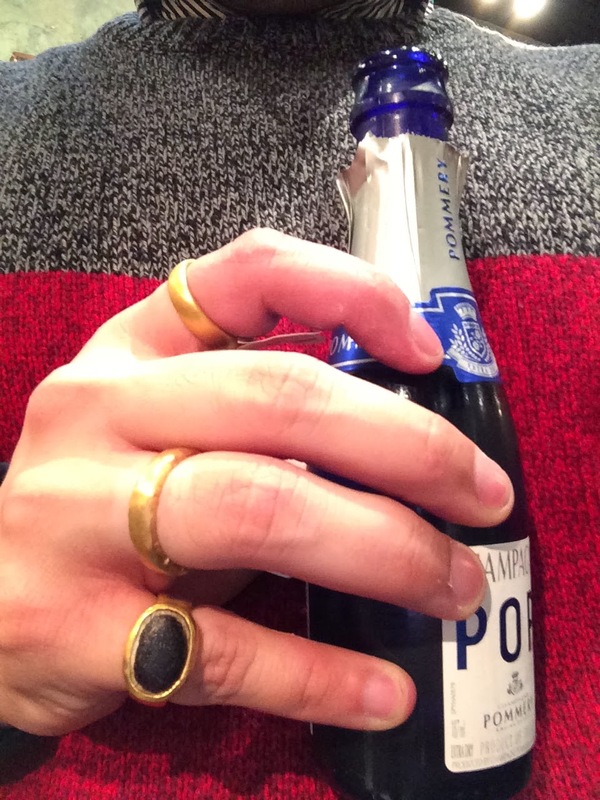 One of the things I love most about wearing gold rings is how fun and fab they look whilst you are sipping champagne. It feels so lux!